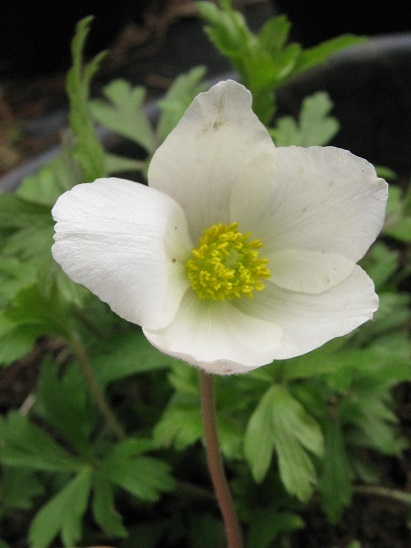 The Snowdrop Anemone grows in western and central Europe in similar habitats to Anemone nemorosa, that is light woodland and mountain grassland. Everybody tells me that it is easy to grow but I have failed repeatedly. This shows my latest attempt to grow it, in full sun in cultivated soil without any competition. If it doesn't prosper here I should give up. I won't, but I should.